Global adhesive and sealant giant Henkel, has appointed Walter Brattinga as general manager of its UK consumer adhesive business, overseeing major brands such as Unibond, Sellotape, Pritt and Loctite. Mr Brattinga, whose position also covers Ireland and the Nordic countries, was previously general manager for Henkel Turkey/Israel. 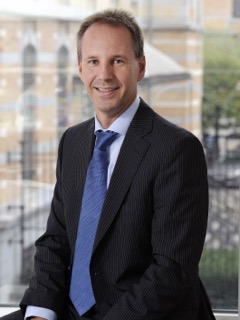 Commenting on his appointment Mr Brattinga said: “We have a great team in the UK, and I’m looking forward to working with them to build on the value that we offer our customers. Mr Brattinga joined Henkel 19 years ago and worked in the Benelux countries and China before moving to his post in Turkey. His objectives for the consumer adhesive team mirror Henkel’s 2020+ Strategy, so enhancing customer focus and digital acceleration will be central to this policy. Mr Brattinga, a Dutch national has relocated to the UK with his family and is based at Henkel’s head office in Hemel Hempstead. His appointment follows the departure of UK managing director Mark Portman, who made the move to Gardman to take up the role of group sales director.